Her family was to be her legacy until an angry mob murdered her only son. North Carolina farm owner Gertrude Smith had dreamed of leaving a legacy—raising hardworking and socially-conscious children who would parent her grandchildren to become people who would change the world for the better. But hope faded when her unmarried son died tragically in the racially charged 1960s—then completely vanished when her only surviving child, a daughter, remained childless after marriage for twenty years. That is, until Gertrude received a phone call from her forty-year-old daughter: "Momma, next summer you're going to become a grandmother! And not to just any baby—but one with a divine mission." A special child. A dreamer. A baby girl. But will another tragedy strike and bury Gertrude's dreams for an eternity, taking with it the seedling of her legacy, erasing the stories of her ancestors, and stopping a quiet Southern woman from leaving her mark on America—and maybe even the world? One night while facing her deepest fear, Gertrude sat ridge-pole straight on a Greyhound bus heading to Florida where her granddaughter was to be born. She clutched her carpetbag between gnarled fingers. As her lips trembled in the cool night air that filled the bus, she whispered the delicate breaths of a new dream for the unborn baby girl she imagined would be blessed with cherub cheeks, pinched with dimples. "Here sleeps a girl with a head full of magical dreams, a heart full of wonder, and hands that will shape the world." But dreams required strength. The strength to believe in what no one else could see. Should an elderly woman who lost her only son dare to dream again? Should you? Find out by reading SHE LAUGHS LAST, a sweet story that mothers, grandmothers, and daughters will treasure for years to come. If you knew your ending, how would you have lived your beginning? Continue the Orphan Dreamer Saga?a transcontinental sweeping story where ANNE OF GREEN GABLES meets THE DA VINCI CODE inside the WAR ROOM. 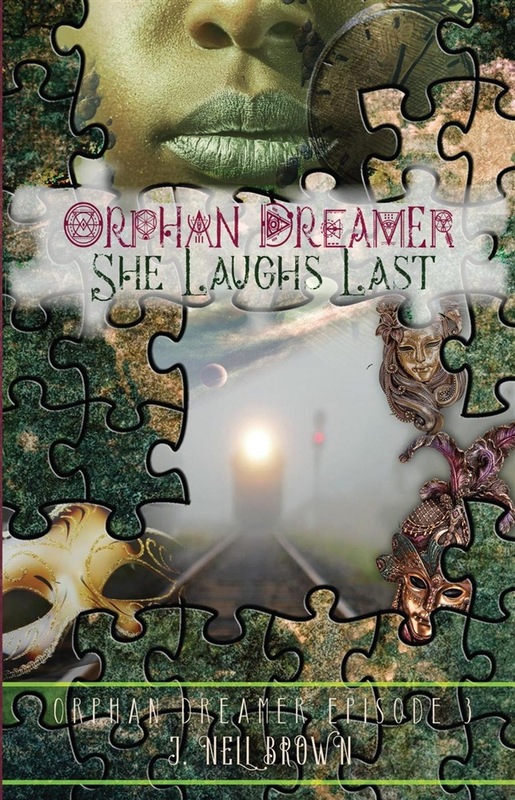 A twist of fate changes dreams, then impacts the destiny of an orphan and the future of humanity in SHE LAUGHS LAST, a short story set within a contemporary epic that defies time and takes readers from the 1960s into a future of what-ifs. What if Indiana Jones were a naive girl born into a close-knit African-American family in the South—a girl destined to solve her own DA VINCI CODE but who would rather simply overcome the provincialism of her community and find her own ANNE-OF-GREEN-GABLES-style bosom friend? J. Nell is never to busy to catch up with one of her readers! Acquista She Laughs Last in Epub: dopo aver letto l’ebook She Laughs Last di J. Nell Brown ti invitiamo a lasciarci una Recensione qui sotto: sarà utile agli utenti che non abbiano ancora letto questo libro e che vogliano avere delle opinioni altrui. L’opinione su di un libro è molto soggettiva e per questo leggere eventuali recensioni negative non ci dovrà frenare dall’acquisto, anzi dovrà spingerci ad acquistare il libro in fretta per poter dire la nostra ed eventualmente smentire quanto commentato da altri, contribuendo ad arricchire più possibile i commenti e dare sempre più spunti di confronto al pubblico online.